Well, it has been a week and a half since I last wrote about The Camp; the AASR's (Ancient part one of this series I introduced you to the symbol, and in part two, we explored the outer shape, the nonagon. In part three we will explore the next level in, the heptagon and the pentagon. Lets dive in shall we? So first of all what is a heptagon? Well, in geometry it is in fact a shape which has seven sides. According to many research books, including "A Bridge to Light", the heptagon has no "camps" or degrees associated with it. 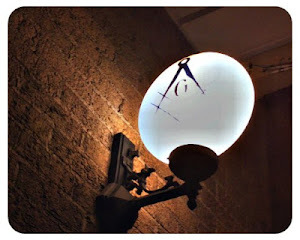 In my opinion, it is simply there to complete the symbol and remind us perhaps of the seven liberal arts and sciences. If you are unfamiliar with these arts and sciences, whether because you are not yet a Freemason, perhaps you can't remember or you just plain old never got that part of the lecture, lets just lay it out. The seven liberal arts and sciences are split into two groups; the Trivium and the Quadrivium. The Trivium consists of the arts: Grammar, Rhetoric and Logic. Mastering these is an art in itself and enables one to present, teach as well as debate. The Quadrivium consists of the sciences: Arithmetic, Geometry, Music and Astronomy. As a side note I think it is important to understand that the sciences are all connected. Consider the following; Arithmetic is numbers, Geometry is numbers in space, Music is numbers in time and Astronomy is numbers in space and time. This is kind of a neat way to think of it right? Therefor the heptagon, represents these sciences and gives the number seven its place in this great symbol known as The Camp. Side one - represents the 19th and 20th degrees which are known as the Grand Pontiffs and Masters of the Symbolic lodge. It's letter is "U" and it's banner depicts the Ark of the Covenant. Side two - represents the 21st an 22nd degrees known as Prussian Knights and Knights Royal Axe. It's letter is "G" and its banner displays an Ox or a Bull. Side three - represents the 23rd, 24th and 25th degrees. These degrees are called Chiefs of the Tabernacle, Princes of the Tabernacle and Knights of the Brazen Serpent. Its letter is "N" and it's banner depicts an Eagle with a Sword and a Bloody Heart. Side four - represents the 26th, 27th and 28th degrees. These are known by the names; Princes of Mercy, Knights of the Sun and Commanders of the Temple. It's letter is "E" and its banner depicts a Flaming and Winged Heart. Side five - represents the 29th and 30th degrees which are know as Knights of St. Andrew and Knights Kadosh. It's letter is "T" and it's banner is depicted with the symbol of a Lion with a Key in his mouth. So as you can see, the degrees represented in the pentagon range from the 19th through the 30th, all of which fall under the group within the AASR known as the Knights of Kadosh (in the USA and in most cases). I hope you have enjoyed this look into these areas of the AASR symbol. Join us next time as we look at the final areas; the Triangle, the Circle and the St. Andrews Cross!